This is a ticketed event, please see the website to find out how to pay for your tickets. This is also a ticketed event. Please see the website to purchase tickets. This is to bring to the attention of Sydney Atheists members a big event to be run next year by our sister organisation, the AFA. The Atheist Foundation of Australia is proud to announce that it is bringing The Unholy Trinity to Australia. 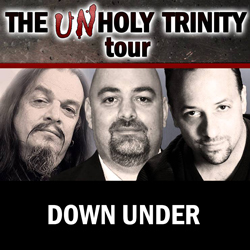 The Unholy Trinity Downunder Tour brings together three atheist activists for an amazing event. Matt Dillahunty, AronRa, and Seth Andrews take the stage to share stories, interact with a live audience (and with each other), and address some of the challenges and opportunities in the fight against non-reason. Matt, AronRa, and Seth were once believers in God, the spiritual, and the supernatural. 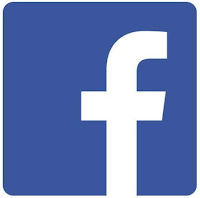 Today they are atheist activists who are known worldwide. Matt Dillahunty is host of The Atheist Experience television show and served as President of the Atheist Community of Austin from 2006-2013. Matt co-founded the counter-apologetics website, www.ironchariots.org and is a frequent public speaker and debater. AronRa is an atheist vlogger and activist. His videos focus on biology (with an emphasis on countering creationist claims), and advocating rationalism in science education. He also posts written material on his websitewww.locolobo.org. He is currently a co-host on the podcast Dogma Debate and serves as the Texas State Director ofAmerican Atheists. Seth Andrews is a professional video producer and former Christian broadcaster. In 2009, he founded the website,www.thethinkingatheist.com, a community which encourages viewers to reject faith and embrace critical thought. His videos Afterlife, The Story of Suzie, and many others have been seen worldwide, and his weekly radio podcast is downloaded 2 million times a month. In this tongue-in-cheek-titled tour, Matt, AronRa, and Seth come together to share their stories, field your questions, have some fun, and encourage all within earshot to pursue and embrace a personal relationship with reality. The tour will take place from the 12th to the 21st March 2015, and will include major events in Brisbane, Sydney, and Melbourne. The AFA are anticipating a rapid sell-out as space is limited.